Spin This: "My Last Chance," "Try It, You'll Like It," Symphony"
April Fools’ Day 1984. 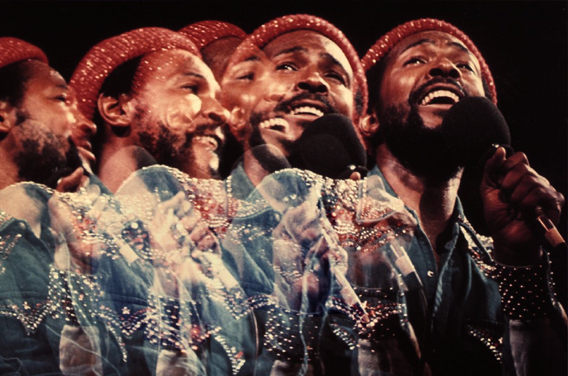 The world woke up to the terrifying news of Marvin Gaye’s death, led by his own father. It felt like a prank, but it was true. The Motown crooner who bounced back from a stream of bad choices, substance abuse and a career freefall had just experienced a musical breakthrough with the forward-thinking electro-R&B creation of Midnight Love, a disc propped up by the towering Grammy-winning “Sexual Healing.” Other rebounds included his last-minute appearance at Motown 25 and a smooth remake of The Star-Spangled Banner at the 1983 NBA All-Star Game. And suddenly, the music world had to face a new nightmare; the loss of an R&B King, on the eve of his birthday. Gaye had numerous ups and down in his life, but the tragedy of dying a day before your day of birth at the hands of your own father — ain’t that peculiar! 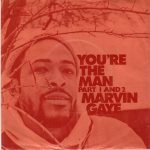 On the 35th anniversary of his passing and what would’ve been his 80th birthday, the folks at Motown have finally opened the vault to release one of Gaye’s “lost” records, You’re the Man. It’s not merely a disc of alternate takes and B-sides that we mostly encounter with posthumous albums being released these days. It’s actually a lost record, a complete disc that was shelved and placed in the vaults. The story behind its shelving shouldn’t be much of a surprise. 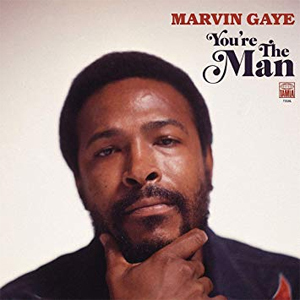 After the lead single release of the funky political-packed “You’re the Man” failed to go any higher on the pop charts, despite the success of its predecessor What’s Going On, the album, highly disliked by Berry Gordy, was shelved. The single, one inspired by the 1972 presidential election of Nixon and McGovern, was cursed from jump street, mostly due to the Motown engine failing to pump their resources and full support behind the record. Gordy didn’t like rowdy politics in his records and tried his hardest to stop What’s Going On. With orders to stray away from the political stuff due to fears of it damaging the Motown brand, Gaye returned to the studio to put out the soundtrack album for Trouble Man and 1973’s Let’s Get It On. Over the years, a few tracks from the shelved album have been released to Gaye-associated compilations, but never released as an official unit. Fifteen of the assembled seventeen tracks are all getting their vinyl debut – thanks to Universal Music Group’s decision to drop the effort, along with bonus mixes from Salaam Remi (Nas, Fugees, Amy Winehouse) and a new essay from “Sexual Healing” co-writer and longtime Marvin Gaye biographer David Ritz, in double LP/CD formats. Another important footnote about You’re the Man is how Gaye deliberately tried to make something different from What’s Going On. Instead of hiring the Funk Brothers, who appeared on Gaye’s What’s Going On, he enlists the help of Hamilton Bohannan’s fleet, a sixteen-piece in-house band that went by Bohannan and the Motown Sound. 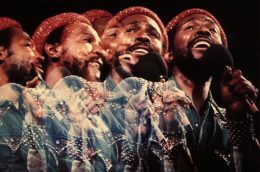 The themes of social justice, poverty survival, togetherness and anti-war are resurrected, but things do feel a little more energetic and optimistic than what’s heard on Gaye’s magnum opus. He also calls on a number of producers and songwriters to help in the process, mainly Willie Hutch, Gloria Jones and the combo of Freddie Perren and Fonce Mizell (both of The Corporation). The title track falls in line with “Inner City Blues,” while pointing fingers at aspiring political heroes to save the day. Its message, however, feels so appropriate for 2019 as a massive field of Democrat candidates are coping with their loss to a scandal-heavy, defiant and alienating Trump and are trying to bring hope, change and civility back to the White House. He croons justifiably about corrupt politicians (“Think about the mistakes you make/I believe that America’s at stake”), calls ‘em out (“we don’t wanna hear no more lies/About how you planned a compromise”) and tosses out a long list of issues affecting the downtrodden, which include unemployment, taxation and war. The music may not rise to the occasion as Gaye’s strongest ‘70’s proto-funk, but the message is abundantly clear and proves to be timely. The feistiness of the activism, masterfully blending the theologies of Dr. King with Black Pantherism, leaks into “The World Is Rated X.” Inside its lyrics, things are colder, darker and specific to mankind global plights. And like a sequel to “Mercy Mercy Me (The Ecology)” Gaye hammers at extreme pollution (“Dirty water we can’t drink/Dirty air, it’s so unfair”), inner-city crime and ballistic warfare. But the musical components paint a lighter picture, a musical palette playing like a Barry White-Love Unlimited effort propped by a glossy string section. The second half, on the other hand, presents Gaye at his dreamiest. Like a romantic prequel to What’s Going On and I Want You, Remi comes in to sweeten up the doo-wop ballad “My Last Chance,” an offering blessed with Gaye’s come hither romantics and closing alto saxophone struts. 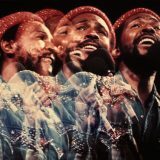 On “Symphony,” Gaye’s backing vocals coupled with Remi’s hip-hop-teased percussion create a mesmeric universe. It’s a slightly different take than the one offered on Dream of a Lifetime, another Gaye posthumous album. And there are also two selections that were originally intended for an incomplete holiday album: the woozy psychedelic soul instrumental “Christmas in the City” and an extended version of the now-revered “I Want to Come Home for Christmas.” Closing out the set is a jam band feature, “Checking Out (Double Clutch),” where Gaye gives shout outs to his backing band, name-checking “these cats from Detroit; Bohannan and Ray [Parker] and Melvin [Ragin aka “Wah Wah” Watson]” while they play with a kind of sophisticated James Brown funk. For aficionados and collectors of Motown rarities, this disc is a jewel. The timing of its release is also sublime. But no, this doesn’t feel like a complete concept album nor is it exactly top-tier material or a five-star display of Gaye. Instead, it is decent posturing anchored by What’s Going On preaching and baby-makin’ music at the mercy of effortless singing from Gaye. There’s no uniformity, exactly. But by today’s standards, in an industry where LPs are becoming less and less accessible due to single prioritization and streaming, the disc still earns ravishing praise. In a world that stands in need of love and weighty answers, we need these two sides of Gaye more than ever before; both the optimistic dreamer and the sultry romantic. Might as well bottle it all up as one.